Reliably high-quality results:Enable labs to consistently and efficiently deliver accurate and reliable results you trust. 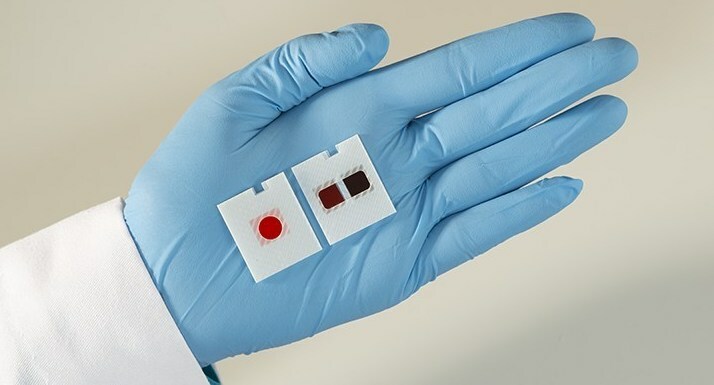 Increased productivity and efficiency:Simultaneously perform two tests that are commonly ordered together from a single small blood sample. This improves lab productivity and turnaround time, while simplifying inventory management and optimizing storage space. "The Ortho VITROS XT MicroSlide is a great technological leap, with DIGITAL CHEMISTRY signifying a true revolution in the pursuit of consistently reliable and accurate clinical diagnoses," said Dr.Jorge Aldunate Ortega, Clinical Laboratory Manager of RedSalud in Chile. "This technology reinforces Ortho as the trusted leader in the field of chemistry and immunodiagnostics." Ortho's VITROS® XT MicroSlides, which include VITROS®UREA-CREA, TRIG-CHOL and GLU-Ca slides, have received CE Mark signifying conformance to applicable European Union regulatory requirements. These products are available on the VITROS®XT 7600 Integrated System for purchase in March 2019. The product is currently available for purchase in numerous countries, including Chile, France, Germany, Hong Kong, Iceland, Italy, Spain, Switzerland, the UK, Australia, Liechtenstein, Norway and New Zealand. Ortho Clinical Diagnostics is a global leader of in vitro diagnostics serving the clinical laboratory and immunohematology communities. Across hospitals, hospital networks, blood banks and labs in more than 125 countries and territories, Ortho's high-quality products and services enable health care professionals to make better-informed treatment decisions. For the immunohematology community, Ortho's blood typing products help ensure every patient receives blood that is safe, the right type and the right unit. Ortho brings sophisticated testing technologies, automation, information management and interpretation tools to clinical laboratories around the world to help them run more efficiently and effectively and improve patient care. Ortho's purpose is to improve and save lives with diagnostics, and it does that by reimagining what's possible. This is what has defined Ortho for more than 75 years, and it's what drives Ortho forward.